We went to school today and everything went normally there. Nothing out of the ordinary happened and everything went fine. After school, we drove home and tried to stay busy for a bit until Mom got home. As soon as she did, we all loaded up into the car and made the trek up to Eastside Church again in Park Rapids. They were having their worship night, and it was absolutely phenomenal, to say the least. They have a great band and a super great and welcoming environment and it was an awesome time. Afterwards, we went into Park Rapids where we ended up going to the Mexican restaurant, where we haven't been for quite awhile, and it was very enjoyable. We drove home afterwards, and went to bed. 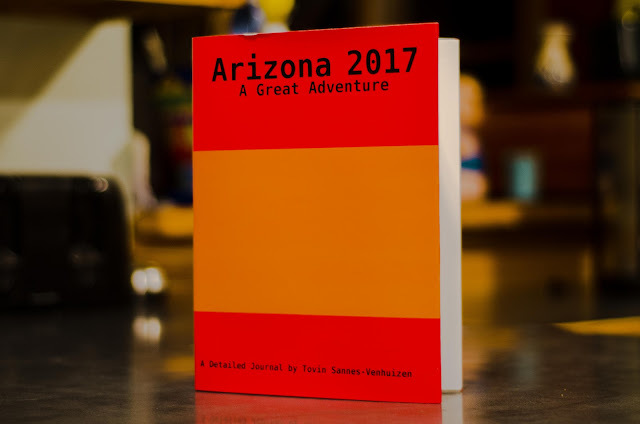 Note: Picture is of my journal from when we went to Arizona back in 2017, which I got printed and it finally came in the mail.